I am having a great couple of days at the Scrapbook Expo in Grapevine, Texas. SO much to see and do. And I am going to do it ALL! Before I left for Grapevine though, I whipped up this card for a dear friend. She is the only one for whom I would use purple. I am just not a purple kinda girl! 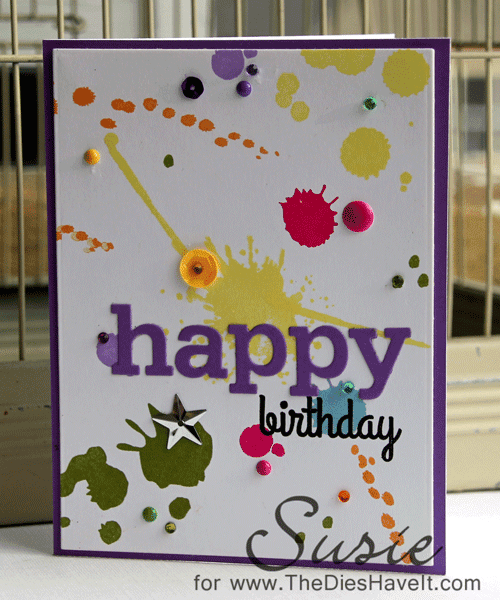 I have been stuck on paint lately, so this time I just let it fly with some brushstroke stamps from MFT Stamps. Kinda messy but plenty of fun!